I feel that we might be hammering in the point at the moment about shopping independent, buying handmade and making this Christmas, but we are not going to stop any time soon! You might have seen via our Instagram that we have been enjoying all the craft fairs in London these past few weeks, first up was Renegade at the beginning of the month and Sunday, just gone, was Bust Craftacular. We do love a craft fair as I am sure you will know by now. But what we really love about them is discovering the people behind the brands who are always so lovely and the individual nature of the work. The best part is that you know all of the money you spend goes towards that designer/maker making more and learning more and experimenting more. Basically your paying for them to grow, it's not all about factories, profits and margins. You may have seen the 'Just a Card' campaign, which aims to improve the fortunes of independent businesses and makers, as, if everyone bought just a card, then it could make a real difference to those people who make them. Cards are so easy to buy and the easy option at a craft fair, so why not aim to start buying handmade rather than production line cards, it could be your 2016 resolution if you don't want to start this Christmas of course! We thought we should take this time to mention a few new (to us) designer/makers we found at this years fairs. First up was at Renegade and we loved Monti by Monti with these ace terrariums, Verdantica who 'create bespoke miniature worlds' and Sparrow + Wolf whose cushions Sammy just had to have! Bust Craftacular was an altogether more colourful set of new (to us) finds, as you can see. These badge rosettes from dAKOTArAEdUST were super fun and so bright, then the cute face mitts (do you remember them from being a child!) from Terri Leahy and lastly were these cool patterned trays from Jonna Saarinen. We picked up some awesome gift ideas from both fairs for Christmas and beyond. Another thing we are really enjoying about modern craft fairs at the moment is that they are introducing more workshops as well as stalls into the experience. 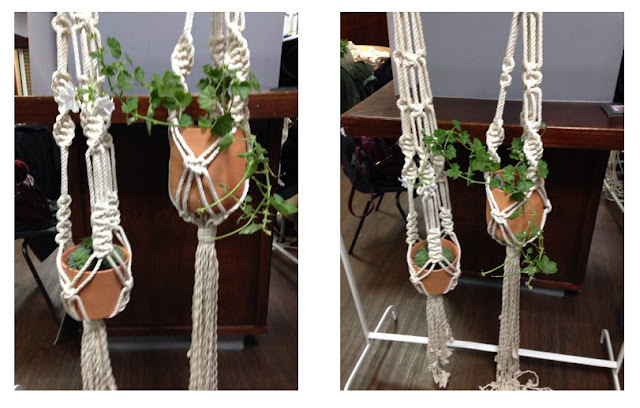 We took part in a workshop by the lovely Helen Robinson at Bust Craftacular to make Macramé plant holders! I feel a new craft addiction coming on for both of us, watch out for more of this. Going back to the 70's is a big trend at the moment and so Macramé was always going to make a comeback! 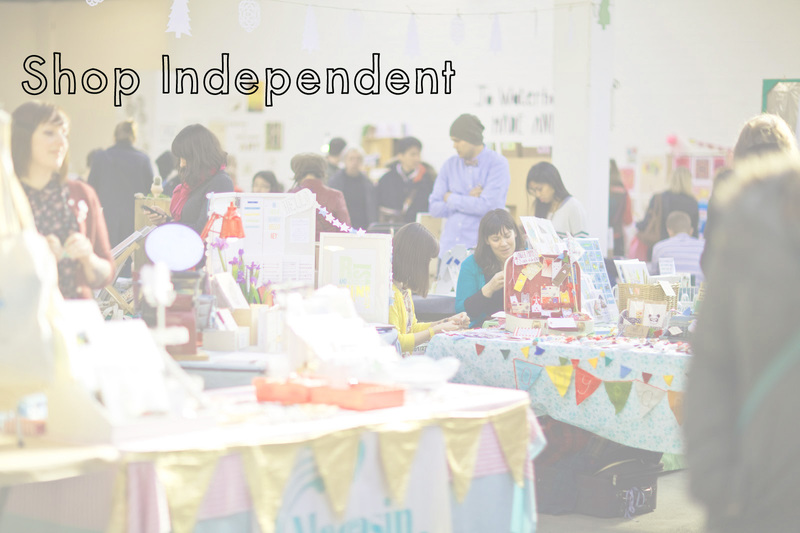 Another reason we love independent makers, is that they inspire us to try new things, learn more ourselves and have even more beautiful things in our lives! We just want all the pretty around us all the time! Are you going to shop independent this Christmas? Or make your own, have you been inspired to try your hand at something yourself? Do check out our tutorials in the 'Make it' tab above to give you some inspiration. Also check out Sammy's post last week and this Friday for a few more handmade gift ideas.